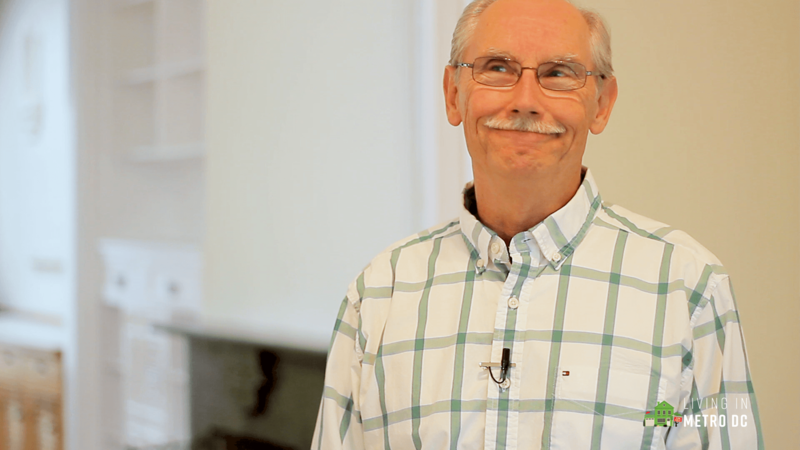 Dave Kolakowski is "Head-of-Stuff" at Living In Metro DC and an area resident for over 45 years. He is a licensed Associate Broker in MD, DC & VA. He brings to his clients a level of customer service he's developed throughout 28+ years in real estate. - First, he sees himself as your advisor, helping you clarify your goals. When your goals are clear, decision-making gets a lot easier. - Second, he's a great negotiator. He'll treat your money like it's his own. You will never concede a penny more than is absolutely necessary. - Finally, he oversees all the details about your transaction with precision. Missteps can cost you money. He has the logistical expertise to make sure your transaction is handled in the most efficient and effective way. James, a native of the Washington Metropolitan Area, has resided all across the DMV since birth, giving him insights into how the local market has evolved, and how the market will respond to a changing economy. An avid enthusiast of Thomas Jefferson, James firmly follows the maxim of lifelong learning, whether that be studying and using the latest technologies to ensure his listings are getting the most visibility for his clients or teaching his clients how to maximize true value in their purchases. James believes that the key to making his clients successful is to take a detail-oriented approach to integrity -- to his clients' goals, his best practices, and the real estate profession. Having previously worked in commercial real estate in Paris, James knows that honesty and communication are fundamental to providing clients with the tools necessary to achieve their goals. Although he adored Paris, his love for the Washington Metro Area was stronger. He has lived in Fairfax County, Arlington County, Alexandria City, Montgomery County, and Anne Arundel County, and now calls Logan Circle his home. James spends his extra time exploring all corners of the area to discover the secrets and gems that are hidden here. A real estate investor since 2010, Cesar witnessed firsthand the most recent boom and the subsequent downturn of the real estate market; but he still loved what he saw and wanted to learn as much as he could about the industry. When this Brooklyn native was challenged by his wife to start a whole new life chapter, they picked up and left NYC for DC. Once there, Cesar worked as a new construction residential real estate salesperson in the DC Metro Area for Ryan Homes. He was one of the top sales earners there, contributing to $15 million-plus in sales in 2016 and 2017 before joining McEnearney Associates. Cesar has extensive experience walking customers through the buying process from beginning to end, helping them understand what is needed to qualify for a home purchase. As a credit repair consultant, he has been integral in improving credit scores to allow new homebuyers to get the most favorable financing rates; and in general, gives them a better view of the financing components of their investment. Prior to real estate, Cesar worked in the fitness industry for 15+ years, six of which were as a personal trainer. Catering to clients is his forte. When not busy with real estate, he is a big-time foodie who loves cooking and testing out the latest food trends and restaurants in the DC Metro Area. Cesar also likes to travel abroad, and spend quiet time at his home in Navy Yard with his wife and Cavalier King Charles Spaniel. Amy started her career in real estate more than 30 years ago in property management and over the years has invested in and still manages her own rental properties. Part of that early experience included preparing income tax returns for real estate investors and from that grew a successful income tax preparation business which she has owned for the past 15 years. Amy has joined McEnearney to once again focus on real estate. Amy has mastered the skills of a client-centric businesswoman. She listens well to the needs of others, keeps communication lines open, is extremely hard-working, very organized and pays close attention to detail. She prides herself on her perseverance and tenacity to ensure that every client is completely satisfied. You will not find anyone with more personal integrity and honesty than when you work with Amy. As a life-long Washingtonian and wife and mother of DC Firemen and a US Marine, Amy has seen the growth of the local communities and is knowledgeable about many neighborhoods in and around DC. She is the 4th of 5 generations to reside in the home her grandfather built in the 1930s in the American University Park neighborhood of NW Washington DC. Always committed to her community, Amy chaired the local Advisory Neighborhood Commission for 6 years where she worked with neighbors, businesses, the city council, and the Mayor to re-build the Tenley Library and improve the school facilities at Janney Elementary School. She still lives in AU Park in her family home with her husband and 17-year-old dog, Bernie. Our Team specializes in local home buying and selling. We effectively coordinate the purchase and sale of real estate, estate properties, residential homes, town-homes, condos, new construction, and land, based on our clients’ needs. Wonder Why Tony Is Smiling?